Like proverbial hunter-gatherers, Nacho Patrol is in the business of foraging. We started out with the easy ones, but as necessity requires, we roam further and further from our World Headquarters in search of fresh resources. As part of our effort to review all of the nachos on Harvard Street/Avenue, we took another step northwards towards the end of our journey (also known as the Sports Depot) and ended up at The Draft. At any rate, on to the nachos! 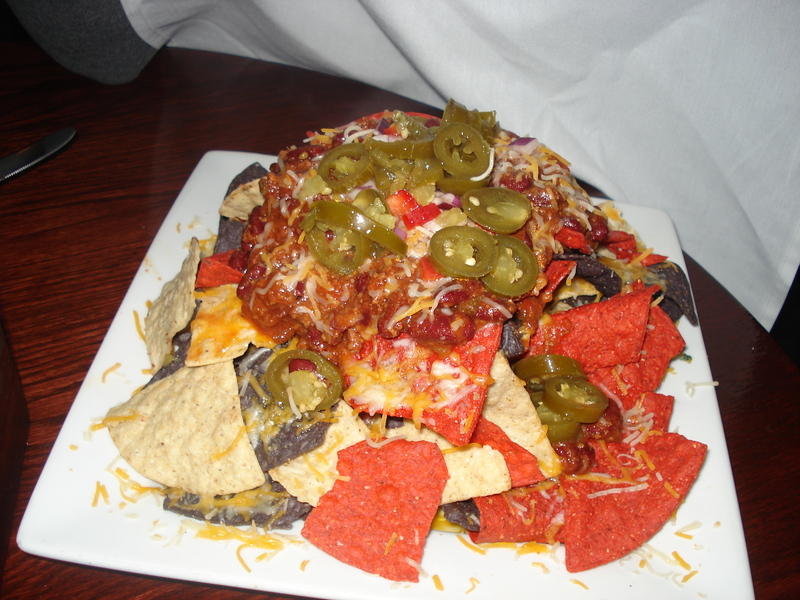 Appearance: (7) A lot of brightly colored chips, with chili, cheese and jalapenos over the top. The peppers looked a little peaked, giving the whole plate a slightly sad appearance. We could see some clearly unmelted cheese, which was a bad omen. Quality of Ingredients: (6) Neither good or bad enough to be memorable. Decent chili. Distribution of Toppings: (5) The nachos were listed on the menu with no mention of chili (just chips, cheese, salsa, peppers, etc.) When we inquired about chili, our bartender seemed a little surprised, but said he could do it. We shudder to think of what these would have been like without, because even with the extra topping, there were a number of naked chips. Since all the chili was dumped on top, once we had taken off the top layer there was little topping to be had. We barely even remember seeing or tasting cheese, which was a disappointment. We also had to ask for sour cream, and guacamole was not available.